The new rock station for Paisley and the surrounding area, 96.3 Rock Radio is running test transmissions in preparation for its full launch. Formerly Q96 FM, the station was acquired from UTV Radio by GMG Radio, who have successfully requested a format change from the radio regulator. The radio regulator is currently advertising the local DAB digital radio multiplex licence for Hertfordshire, Bedfordshire and Buckinghamshire. The multiplex is likely to launch in 2008. Two further DAB digital radio transmitters carrying national commercial stations have been switched on. The new jazz radio station on DAB digital radio, theJazz is now broadcasting test transmissions. The station is boradcasting in mono, at 96Kbps. Two other music stations on the same multiplex, Core and Life, have now dropped to 80Kbps mono, in order that they can all fit on. A new local FM radio licence for Preston in Lancashire has been awarded to UTV Radio-backed Proud FM. The station will occupy 106.5 and 96.3 FM and will launch in 2007. The media regualtor has agreed a format change at London-based 102.2 Smooth FM. The station, which currently broadcasts "soul" music during the day and specialist jazz in the evening, has been given permission to switch to an easy-listening format for the over fifty age group, with a greater emphasis on news and speech during the day, but with a commitment to jazz programming in the evenings. At least one in five tracks during daytime will have to be over forty years old. A series of three new DAB digital radio transmitters carrying national commercial stations has been launched. Three potential operators are already in the picture, bidding to run the next national commercial DAB radio multiplex. A new national DAB digital radio station is making preparations for Christmas. Looking to get into radio? Our station listings now contain full listings for the first round of licensed, full time community radio stations in the UK. Frequency updates and launch dates can be provided via our feedback form. A set of four new DAB digital radio transmitters carrying Core, Life, talkSPORT and Virgin Radio has been turned on. Thirteen new multiplexes, including a second GB-wide national DAB digital radio multiplex, are up for grabs. 102.1 Swansea Bay Radio launched at midday on 5th November 2006. The station, playing hits from the sixties to today, can be heard on 102.1 FM in Neath, Port Talbot, Swansea and surrounding areas. You can listen to the launch here. A new AAC audio codec is to be adopted as an option for DAB digital radio transmissions. 100-102 Real Radio and 105.4 Real Radio are coming to the northeast and northwest of England respectively. Guardian Media Group (GMG), owners of Real Radio and Smooth FM, have purchased the regional Century stations serving Newcastle, Lancashire and Manchester. It is widely anticipated GMG will opt to relaunch the services under their Real brand. In 2001, GMG purchased Scot FM and rebranded it Real Radio. As a result of the most recent sale, the DAB-only Century stations in Cardiff and Birmingham have ceased, while London's Century Digital continues as normal. Chill, the popular chillout music station found on some local DAB digital radio multiplexes in England and Wales, is due to launch on the separate DAB digital radio multiplexes serving Kent, Nottingham and Leicester on Monday 23rd October. The Chill service in London is due to be broadcast in stereo in London and Birmingham within the coming weeks; previously the station was only available in mono in these areas. Chill will also launch on DAB in Edinburgh, Glasgow and Sussex, too. 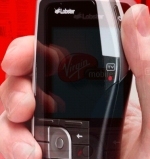 Virgin has launched its first mobile telephone capable of receiving DAB digital radio stations and mobile TV carried on DAB. Pure Digital have information about an important safety recall concerning their Pure Oasis water resistant DAB digital radio, in particular the rechargeable battery and the sealed nature of the unit. No other Pure products, including ChargePAK and ChargePAK-compatible radios and receivers, are affected by this safety recall. A series of three new DAB digital radio transmitters carrying talkSPORT, Virgin Radio and Classic FM have been turned on. Canwest's Original 106fm is set to launch at 11am on Sunday and can be heard on and around the South Coast. UKRD's Star Radio in Stroud closed down at 7pm on Friday, 29th September. The station is due to hand back its licence to the media regulator Ofcom, following a ruling that it could not share programming with sister station Star 107.5 in Cheltenham to save costs. The station is currently broadcasting a test tone and an invite to retune to 107.5 FM. The station is only the second since the millennium to hand back its licence. Channel Travel Radio handed back its licence in September 2000. Core, Capital Life and Classic FM can all be heard on DAB digital radio in and around south Bristol. The national digital commercial multiplex can be picked up on a DAB digital radio following the switch-on today of a transmitter at Dundry East, serving south Bristol and north Somerset. The fill-in transmitter improves coverage in and around southwest Bristol. Digital One has announced another 11 transmitters that will be switched on over the next 12 months. These transmitters will extend and improve coverage in Nottinghamshire, Leicestershire, West Yorkshire, Hertfordshire, Monmouthshire, Hampshire and Essex. A new jazz station playing current and classic jazz music has been announced. Gospel and praise music station Day One Radio will join the local DAB digital radio multiplex serving Wolverhapton, Shrewsbury and Telford this month, as part of The Access Channel on the multiplex. More information can be found at the Day One Radio website. Relaxing chillout music station Chill is now broadcasting on the local DAB digital radio multiplex serving Cardiff and Newport. Passion 107.9 has relaunched as Oxford's FM107.9 - passion for music. AOR music station Original 106fm is testing now in time for its launch at 12:00 midday on 1st October 2006. The station can be found on 106.0 and 106.6FM in the Solent region. A final handful of licences could define the end of commercial FM licensing in the UK. A new FMer will join Real Radio, Red Dragon and Kiss 101 in South Wales. 40 years of music will form the backbone of new local FM station in the South-West. AOR music station Original 106fm has won the new Bristol citywide FM radio licence. Vibe 101 based in Bristol and Vibe 105-108 prepare for a relaunch as dance music station Kiss. Adult contemporary and pop music station Brunel FM has launched in Swindon on 107.7FM. Real Radio is offering a different sound on DAB digital radio - but not to listeners in Wales. LBC's entertaining conversation has fully launched on regional DAB in the North, Yorkshire, the West Midlands and South Wales & the West. Pure's new pocket DAB radio packs digital features in for the street. A new handheld DAB radio recorder featuring MP3 playback is now available. Nevada's Sinfonie water resistant DAB/FM portable lets you hook up your MP3 player, too. The Nevada ND-210E DAB/FM portable lets you take DAB out and about. Modern rock station The Storm has finally been pulled from the local DAB digital radio multiplex serving Wolverhampton, Shrewsbury and Telford. Chill, a station playing relaxing chillout music, has launched in its place. Xfm Scotland has been replaced on the Birmingham multiplex by Chill, broadcasting in mono. Potential listeners in central Birmingham may find the recent transmitter switched on at Metropolitan House means improved reception in the city. The Storm survives on DAB on the third Greater London DAB multiplex. Emap is to relaunch and rebrand its Vibe FM stations in the East of England and South Wales and the West in early September. This could mean that a spare slot on the Swansea local DAB multiplex becomes available at this time, as Kiss would otherwise be carried on both the local and regional DAB multiplex serving the area. Pure Digital's The Bug TOO is now available, offering a variety of recording and playback features. OurKindOfMusic joins the local DAB multiplex serving Bristol and Bath as a replacement for The Storm rock radio. BBC Five Live Sports Extra, BBC 6 Music and BBC7 can now be heard by a potential 100,000 people on south Anglesey, North Wales. The national digital multiplex can be picked up on a DAB digital radio following the switch-on earlier this month. The new transmitter is based at Llanddona. National commercial digital services are also being broadcast from the same site. Jersey, North Devon, Warwickshire and Somerset are just some of the areas on a working list. Talk station LBC from London has joined regional digital radio multiplexes in England and Wales, replacing rolling news station DNN. The radio regulator has announced another FM licence to serve Manchester, following the previous award to new rock station Xfm. Applications must be in by 5th October 2006, with the new station likely to be on-air in early 2008. Virgin Radio, talkSPORT and Classic FM can all be heard on DAB digital radio in and around the Arfon area and Llanddona, near Beaumaris in Gwynedd, North Wales. The national digital commercial multiplex can be picked up on a DAB digital radio following the switch-on between 18th and 19th July 2006. The transmitter at Arfon provides coverage to more than 120,000 people along the Lleyn Peninsular, from Pwllheli to Caernarfon. The Llanddona transmitter extends reception into Anglesey. It covers most of the Southern half of the isle - around 100,000 people. NOW Digital has turned on a new local DAB transmitter serving Mansfield and surrounding areas, improving the coverage of Trent FM and Classic Gold on DAB. The transmitter was powered up on 20th July 2006. The BBC Digital Radio website is making DAB listeners aware of a software glitch with the Evoke 3 and Bug radios that is due to be resolved soon. The radio regulator has outlined proposals for new local multiplexes and national DAB services. Virgin Radio is now broadcasting on channel 727 on the Freeview free-to-air digital TV platform. Box owners should add the new service via the menu or perform a manual scan if necessary. The radio regulator has received no less than 184 letters of intent from interested parties vying for the chance to run small-scale FM community radio stations in their area. Ofcom will be advertising licences from August 2006 on a region-by-region basis. Ten applicants have submitted proposals to run a new FM radio station for Liverpool. Entries included rock station The Arrow, a talk station based on Edinburgh's Talk 107 format, and a music station aimed firmly at an adult audience - Original 106. Hull's new FM radio station in 2007 will be KCFM, it has been announced. News sport and classic hit music from the last forty years will be broadcast on 99.9FM in and around the city. Andover's newest radio station, at the top end of the FM waveband, will begin broadcasting next year. Localness is promised as a large feature of the station sound, with news and info for the town. A new FM licence serving Preston, Chorley and Leyland in Lancashire is being advertised by the broadcasting regulator, Ofcom. It is expected the station will cover these areas on 96.3 and 106.5FM. Five FM has won the local radio licence award for Newry in Northern Ireland. Music and information is promised for up to 66,000 potential listeners on 100.5FM. The station is likely to launch next year. Update: The oldies and easy listening station is no longer broadcasting on Sky, DAB or NTL cable. The Panasonic SCPM32 DAB system features an MP3 player hookup point and a multitude of CD format playback options. The Panasonic SCPM33 DAB system boosts the power to forty watts. The Philips AJ5100/50 provides DAB reception in a neat, modern unit. The successor to the Panasonic RF-D1 has arrived - and it's half the price of the original. The oldies and easy listening station can still be heard in London and Northern Ireland on DAB digital radio. The BBC indicates up to 170 new transmitters coould be built in addition to those planned for 2006. MPIO's PD-100 DAB pocket handheld - the most versatile personal recorder ever? We update the Visonia DAB radio article thanks to information received from several visitors. The Visonia is a new, inexpensive DAB radio with multiple connectivity options. The station looks toward improving local information on DAB digital radio, too. Pure's CD, DAB and FM system offers pause, rewind and recording onto SD memory cards. Digital radio station The Storm prepares to close after five years on DAB digital radio. Auntie has unveiled another DAB transmitter in ongoing efforts to improve its coverage. The local DAB multiplex operator announces a series of improvements for 2006. London's original commercial radio station is given a facelift and new schedules. The radio regulator is looking to fill a national multiplex with stations within the next 24 months. Pure Digital go slimline with their all-in-one lifestyle system featuring CD player, FM tuner and DAB digital radio. Sales are on the cards for nine of GCap's radio stations as it seeks to focus on key areas of the country - MFM, Buzz, Coast FM and Champion FM, Plymouth Sound, Lantern FM, Gemini FM, Orchard FM and South Hams Radio to go.